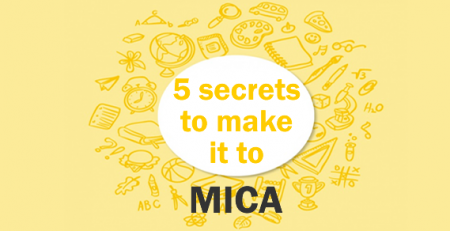 This blog is all about the residential courses offered by MICA AHMEDABAD . This blog also points out why and which course are supposed to be opt at MICA. It would clear every doubt about the course offered at MICA AHMEDABAD . This course at MICA Ahmedabad also known as FPM-C is the first Programme of its kind in the country. It is an AICTE approved doctoral level interdisciplinary Programme. Through this Programme, MICA aims to encourage both fundamental and applied research in the communication and marketing domain. To produce scholars who can impart and advance knowledge in the areas of communication and marketing and contribute to the larger community. To increase the talent pool of researchers and academicians in the areas of communication and marketing. Who is suppose to choose Fellow Programme of Management and Communication Course or how can this course at Mica Ahmedabad help you ? Bring in awareness of existing and emerging issues in research ethics. If you want to turn your creative passion into career and get paid for the work you love doing the next course offered at Mica Ahmedabad is the right thing for you….!!! A program MICA specially designed for people who want to pursue a career as Ideators. Today, the need is for conceptual thinkers who are also ‘executors’. In other words, Ideators are more than just Copywriters, Art Directors, Designers, TV Commercials makers or even web designers. They think big. This course evaluates and chooses applicants based on their innate creative attitude and talent. It aims to instill in you qualities such as a sense of commitment, discipline, and teamwork, all of which are essential for solving problems, brand-related or social. And of course, there is the coursework itself – intensive, interactive sessions where essential advertising creativity skills are taught and practiced. Why this course at Mica? There is an important difference between being creative as a person or as a fine-artist, and being creative in a commercial sense. Advertising and its related fields call for creativity as a highly disciplined, commercialized practice. In an ad agency, as a copywriter or an art director, you cannot “Just be creative and express yourself” – here you are a ‘creative professional’, and have to be able to use the power of your creativity for a commercial/business reason – someone is paying you to get a problem solved, using your creativity… !!! MICA’s flagship Post Graduate Diploma in Management – Communications (PGDM-C) grooms business leaders with a focus on creative thinking, consumer-centricity, communication and community outreach. The PGDM-C, equivalent to an MBA, has evolved into one of the premier programmes in the country, endorsed by 100 per cent campus placements with the best corporate houses in India and in recent times, abroad as well. MICA’s stringent selection norms coupled with the rigour of the curriculum ensure a highly committed, creatively and innovatively anchored, professionally-oriented manager, skilled in the practice of Strategic Marketing and Communication for the industry and the society. This programme is approved by the All India Council for Technical Education (AICTE) and the Association of Indian University (AIU), which equates it with an MBA degree. MICA compares favourably with the top B-Schools and top MBA colleges in India. It is, of course, considered to be the premier institute in Strategic Marketing and Communication. This blog is all about the residential courses offered by MICA AHMEDABAD . This blog also points out why and which course are supposed to be opt at MICA. It would clear every doubt about the course offered at MICA AHMEDABAD. Why Diploma in Managment and Communication ? Managing reputation and internal and external relationships is critical to any company’s success. Communication specialists play vital roles within organizations, influencing internal corporate communication strategy and advising on maintaining external relationships and image. With a Graduate Diploma in Communication Management and the practical experience and training you get at MICA, there will be a wide range of interesting careers open to you. This blog is all about the residential courses offered by MICA AHMEDABAD . This blog also points out why and which course are supposed to be opt at MICA.